I received a compensation in return for this post. This post was made possible by Mom Spark Media. Thoughts are my own. My family is always running from here to there, and I often feel like I need about 26 hours in a day. 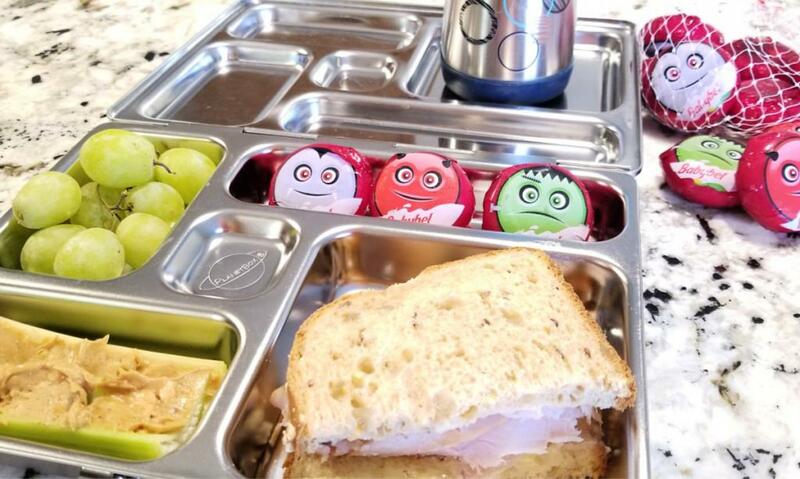 With an on-the-go lifestyle, I am always looking for ways to increase my family’s fruit and veggie intake, but any parent knows that getting the whole fruits or veggies into the diet isn’t always easy when you are on the move. 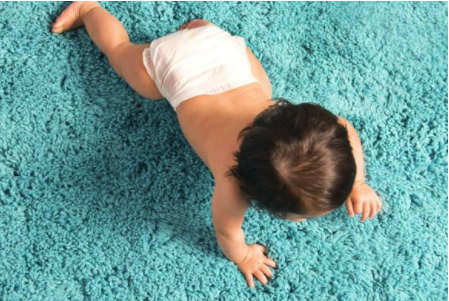 Our active lifestyle is one of the reasons I love finding options that make it simple for my family to achieve the recommended amount of servings they should be getting. Did you know that berries provide the highest amount of antioxidant capacity over any other fruit? Cranberries specifically benefit you by giving cardiovascular and anti-carcinogenic benefits. 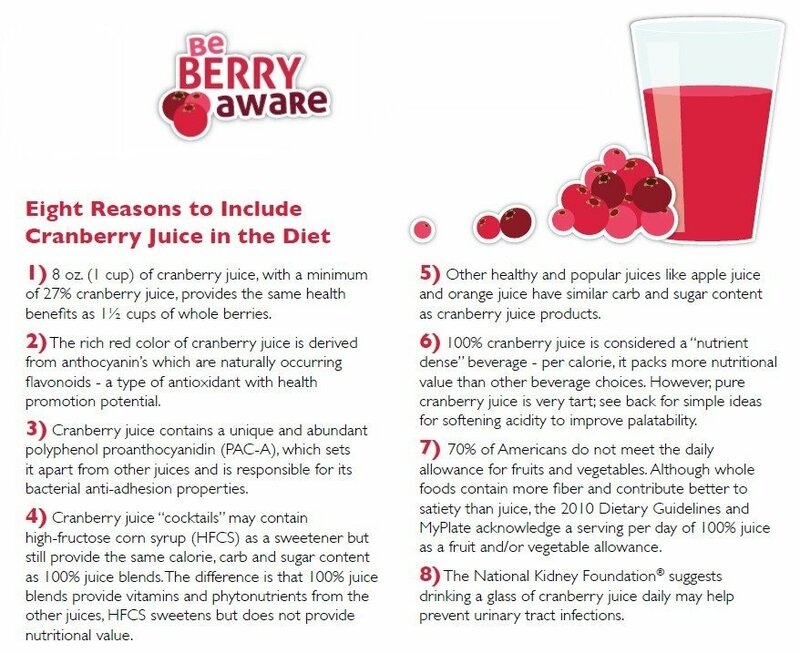 Although I don’t like eating whole cranberries (they are a bit tart for me to eat raw), I do love drinking cranberry juice! Drinking Cranberry Juice Provides Great Health Benefits! Be Berry Aware – How to get the most nutrition out of your juice selection! Make sure you are getting the most nutrition out of the juice you choose. This helpful infographic lists ten of the top juice choices that all contain at least 27% cranberry juice (the recommended amount). Although I personally love drinking cranberry juice (it is usually one of the few juices I will grab if we are making a pit-stop at a convenience store), I know quite a few people find the taste a little tart. 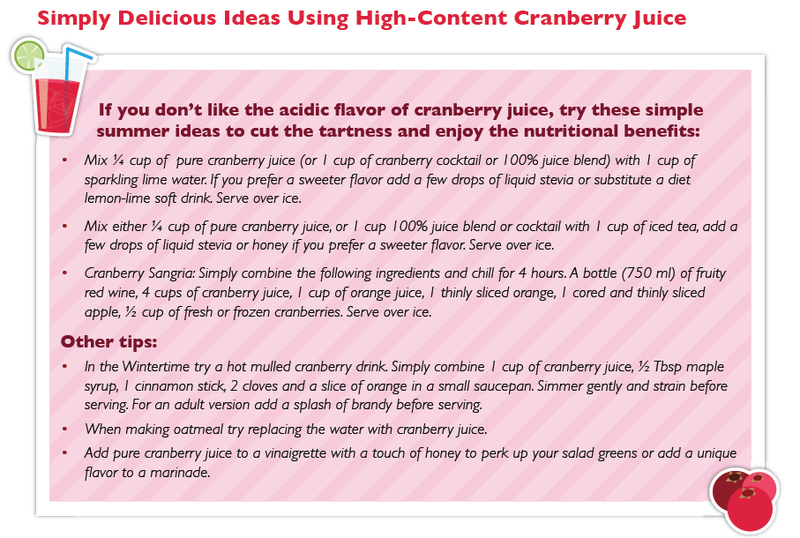 Here are some great recipe ideas to help combat the tartness and enjoy the benefits of cranberry juice. Do you drink cranberry juice? Do you have a favorite recipe or way to use cranberries? All information pictures, and recipes found in this post provided courtesy of beberryaware.com, all opinions expressed are my own.